This story is part of a three part series about Kingsbury Dam. To learn more about U-32’s relationship with the dam see Kingsbury Dam: Did U-32 Drop the Ball? . To learn more about the economics of the dam and group net metering see Kingsbury Dam: The Deal That Went Wrong. Robby Porter was standing on the dam’s penstock, a four-foot wide tube that carries the water from the dam under the roadway and into the powerhouse. Robby knows every inch of the dam, maintaining it on his own. “This dam I think was built after the 1927 flood.” Robby bought the dam from his parents, and his son, Ford, a senior at U-32, will most likely carry on the tradition. The way that Robby’s dam works, starts at the reservoir. 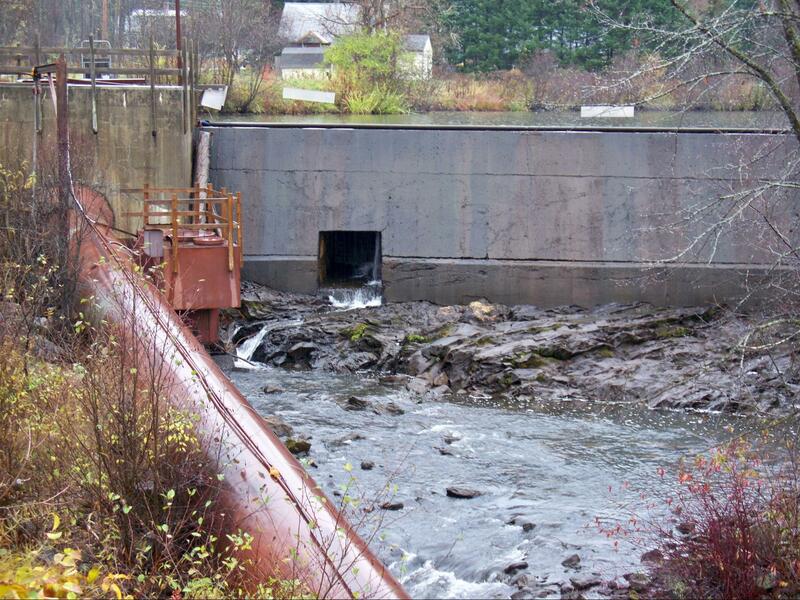 The water enters into the intake of the penstock and flows under the road into the powerhouse and dumps out underneath the building. “The powerhouse is where the electricity is made,” Robby said. Inside the powerhouse, at the end of the penstock, the water spins a propeller-like piece called a turbine which converts the energy of the flowing water into mechanical energy by turning a metal shaft. This shaft is connected to a hydroelectric generator that converts this mechanical energy into electricity. The generator works by spinning electromagnets, circulating direct current through wire looped around stacks of magnetic steel laminations. As the water spins the turbine and the turbine spins the generator, voltage is created. 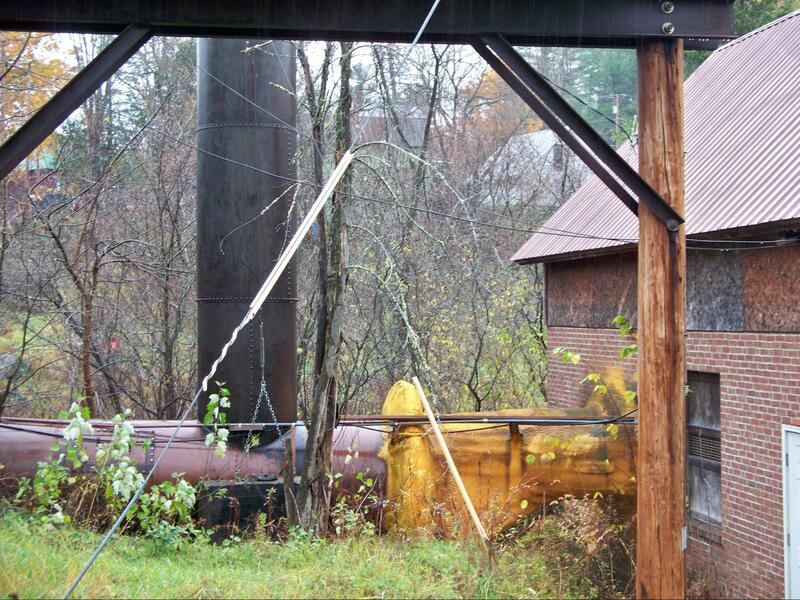 From the generator, the electricity is put into the transformers on a wireline pole right outside of the powerhouse. The transformers increase the voltage and the electricity is transmitted to the grid. The electricity did not go straight from the dam to U-32. Green Mountain Power collected and distributed the power in an open grid, Robby explained. Robby described the grid as being “like a bank”: when you put twenty dollars in the bank, you can go to another bank and take out another twenty-dollar bill. It’s not the same bill, but it’s still your money. Robby’s dam and the power supply is affected by the time of year. In dry times he can’t run it as much and production slows down. Robby said, “September is usually the worst month, and we didn’t run much in October because it was so dry in October too.” Still, on average Robbys dam used to supply about seventy percent of U-32’s electricity. 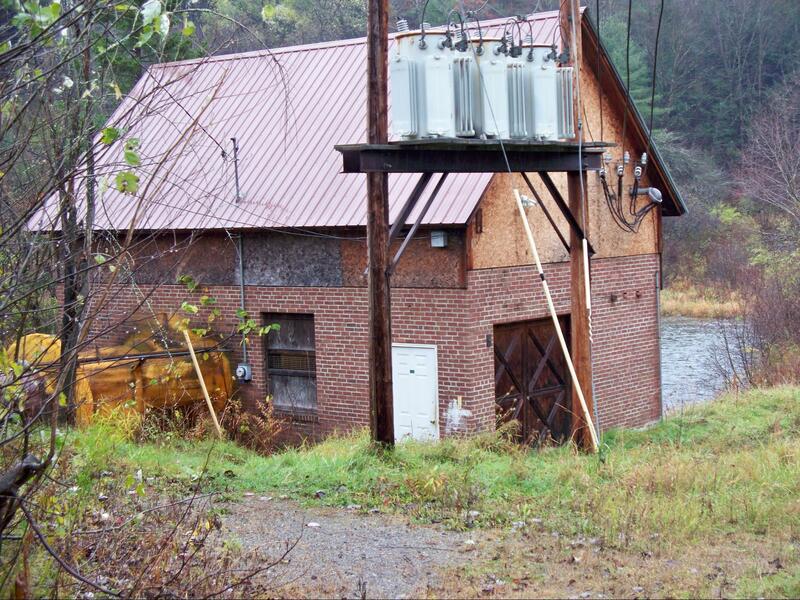 Two hundred years ago Kingsbury dam powered a sawmill, then it powered a factory. After electricity came to Vermont they could build factories anywhere they wanted, and the dam had to find a new use. Today Porter is selling power to a new partner.